Congress General Secretary for Uttar Pradesh (UP)-East Priyanka Gandhi Vadra and General Secretary for UP-West Jyotiraditya Scindia will visit Lucknow on February 11 along with Congress President Rahul Gandhi. The tour is expected to last for four days. This will be Priyanka's first visit after being appointed as the general secretary. As per information, the leaders are expected to carry out a 12-kilometre long road show. Senior Congress leader KC Venugopal, on Thursday, informed that after the road show the leaders are expected to interact with the party workers at the Congress office in the city. According to officials, the party office in the state has been revamped and preparations are on in full swing to welcome the newly-appointed general secretaries. 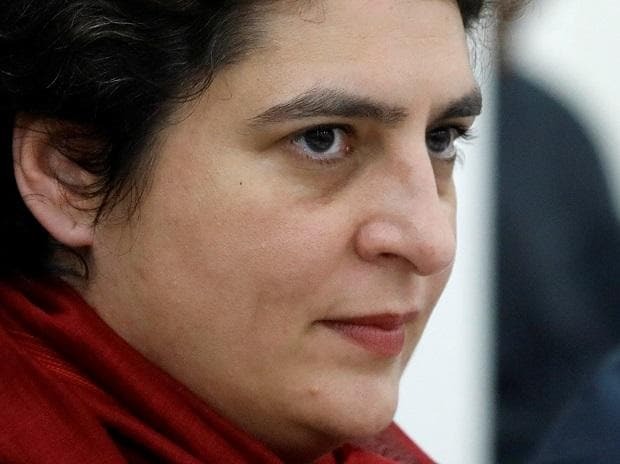 Meanwhile, the Uttar Pradesh Congress Committee (UPCC) is preparing to give Priyanka a grand welcome who will be on her first visit to the state and the UPCC headquarters after her appointment as general secretary. During a meeting here on Thursday, she had said that she will eradicate divisive politics in the state and will work towards uniting people. Moreover, Priyanka also assured people that she would leave no stone unturned to ensure that the party benefits in the state.